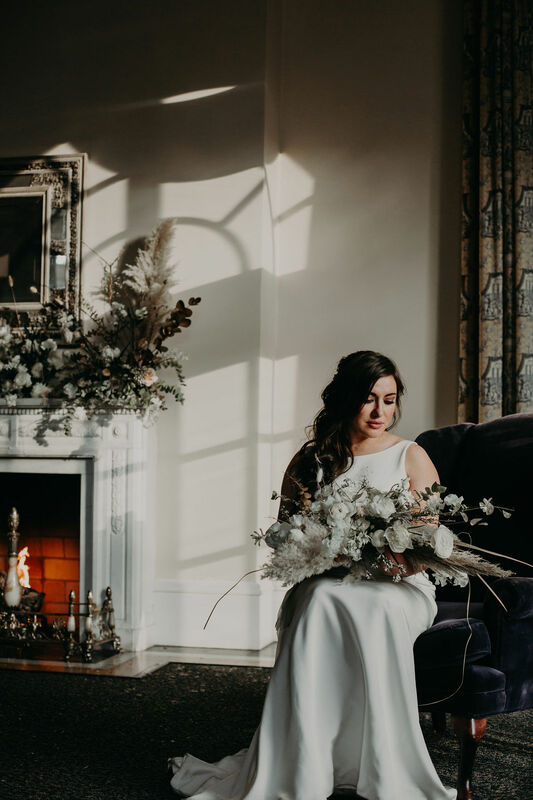 Winter gets warmed up in this smoldering editorial at the Wadsworth Mansion. 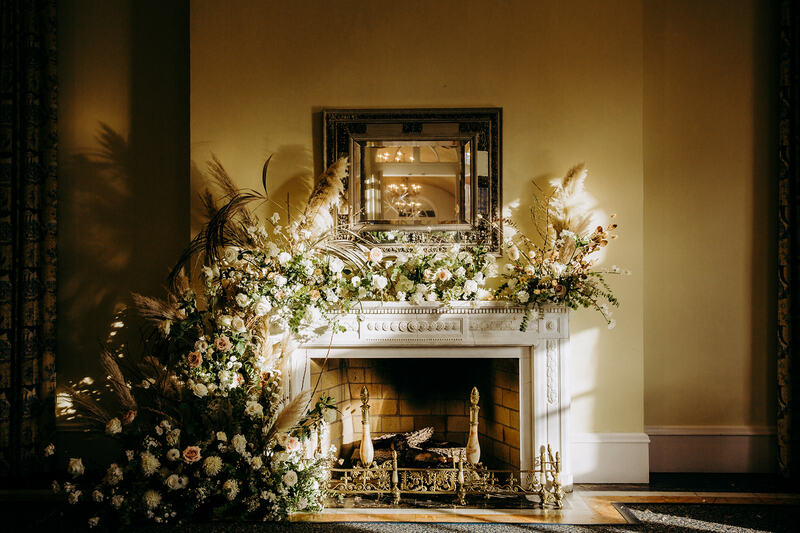 Juxtaposed with that grand, historic venue, bohemian details shine (hello, gorgeous blooms and angular altar! ), especially when you add loads of spice thanks to this shoot’s so-in-love couple and our slinky, silk-crepe Fiona gown. Styled by Wildflower Events Design, this wedding inspo’s free-spirited, sensuous vibe is one that can be applied no matter the weather…although cool nights are made for that cute embroidered jean jacket! A huge thank you to the three photographers—Cassandra Daye Photography, Keli Photography, and Kortni Marie Photography—who captured every kiss, detail, and moment.